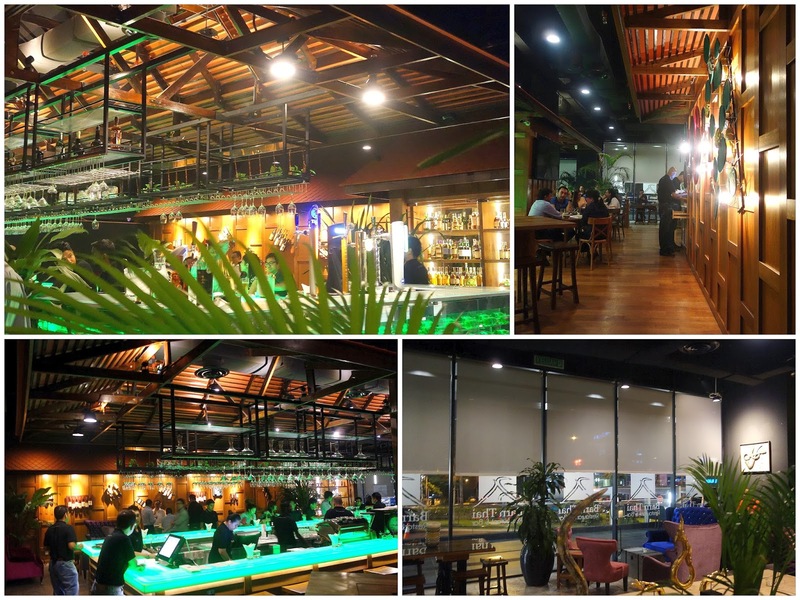 Plush stylishness permeates every corner of this contemporary Thai restaurant that launched this past month at PJ's Plaza 33, a buzz-worthy 21st-century reincarnation of the venerable Barn Thai that previously was a pioneering name at the 1 Utama mall. ... & cups of sweet-&-sour crunchy vermicelli (RM12), all served pretty promptly by Barn Thai's friendly team. ... & the needs-no-introduction 'pad thai' (RM19), a nicely executed rendition here. Come for the cocktails too: Barn Thai is set to surprise with 'molecular cuisine' cocktails that comprise components like popcorn & peanuts. 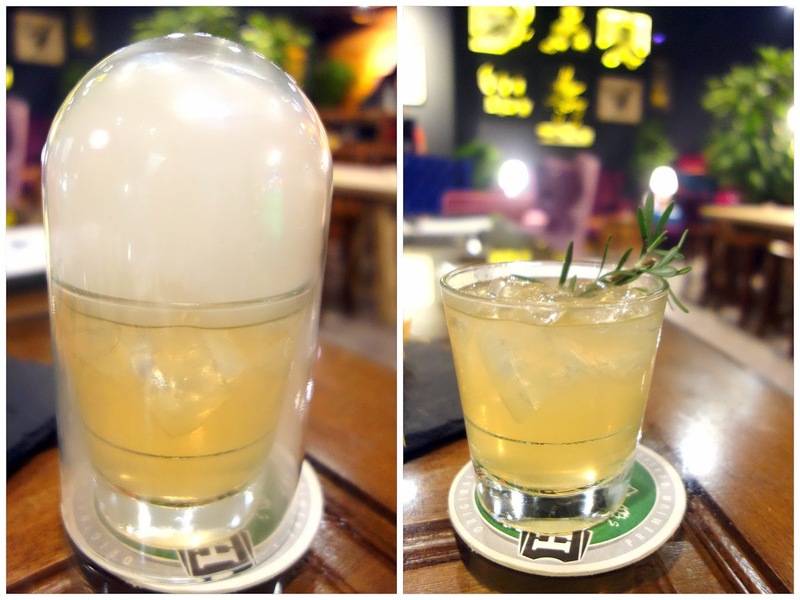 For a start, this "Hot & Cold" (RM48), served in a smoke-clouded container, is a super-tasty concoction with vodka, absinthe, grapefruit, lemon juice & rosemary. Vodka shooters in tubes stuffed with real watermelon, with the fruit soaking up the liquor. 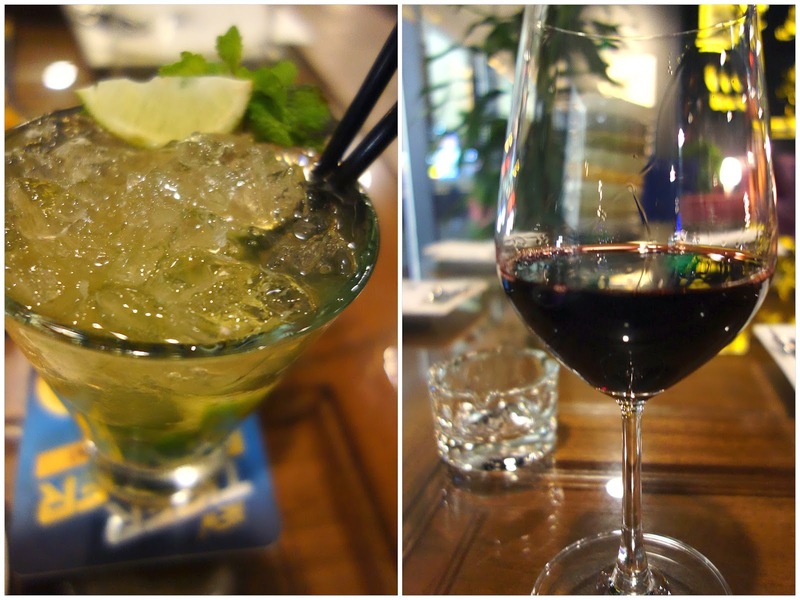 Beer Mojito with Heineken is available, as is wine by both the bottle & the glass. 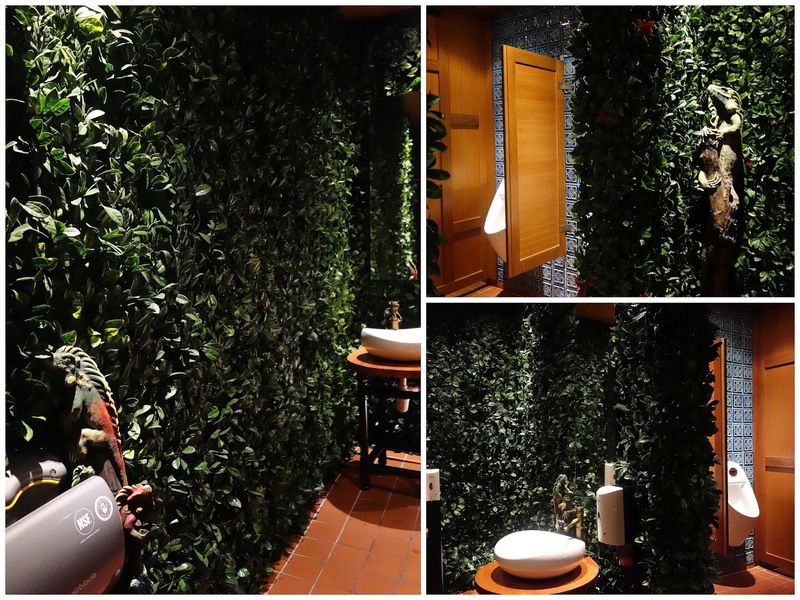 Even Barn Thai's restrooms are worth visiting; they're beautifully lush, not a typical description for a restaurant's loo. 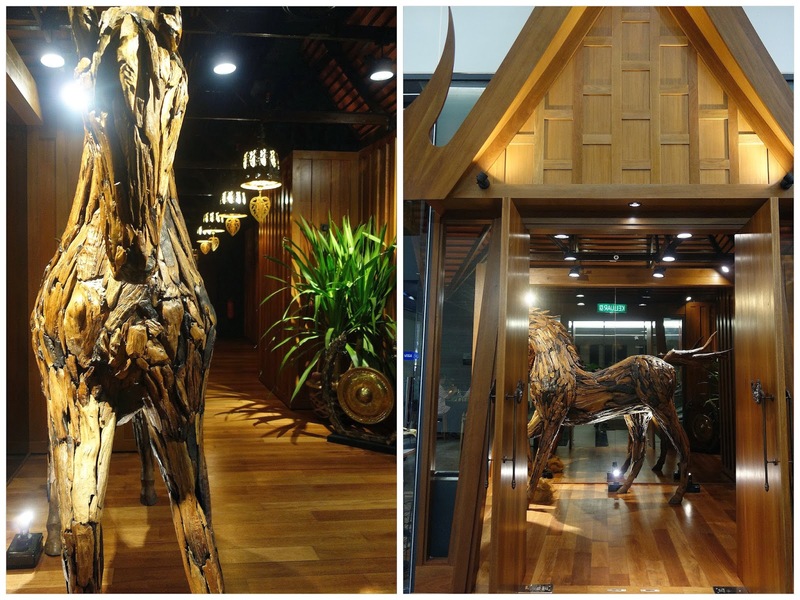 Follow the gleaming stallion; it'll lead you to Barn Thai's entrance. Ground Floor, Plaza 33, Jalan Kemajuan, Petaling Jaya. Beside the Jaya 33 mall. Something new for me, thai tapas! their cocktails are very unique and creative too! Interesting decor, Sean. I love the jazz and Beatles prints on the wall. Along with One Utama, there was also a Barn Thai in Langkawi that existed in the mid 1990s. It was located right smack in the middle of a mangrove forest... I wonder what's the story behind their revive plan. Very beautiful decor and furniture! Those cocktails sound interesting. I'd like to try the hot and cold. Oooo...I love Thai! This place is very famous...or at least, I've heard that name before. Those are some cool cocktails... and the Thai tapas looks great! Oh my gosh... looking at your photos and reading about this, I almost can't handle not having this in front of me. Noticed you have visited us prior, love the honest review and we at Barn Thai Restaurant & Bar would like to invite you back to try our new menu either for lunch or dinner. We are open 7 days a week with live bands performing at the bar from Thursdays to Saturdays. Do feel free to contact me at 012 22 83 493 for any inquiries and if you are interested in visiting us I’ll arrange a table in your name.